3 Bdrm 1st flr Flat on 2 flrs forming part of listed Grade B building. Reception hall. Lounge/Dining rm. Kitch. Bathrm. Bdrm. Upper flr: 2 Bdrms. Boxrm. Office area. (CT band - F). Garden. Garage. Price over £420,000 Entry by arr. Viewing Hetherington 07803 123570. (EPC band - E). 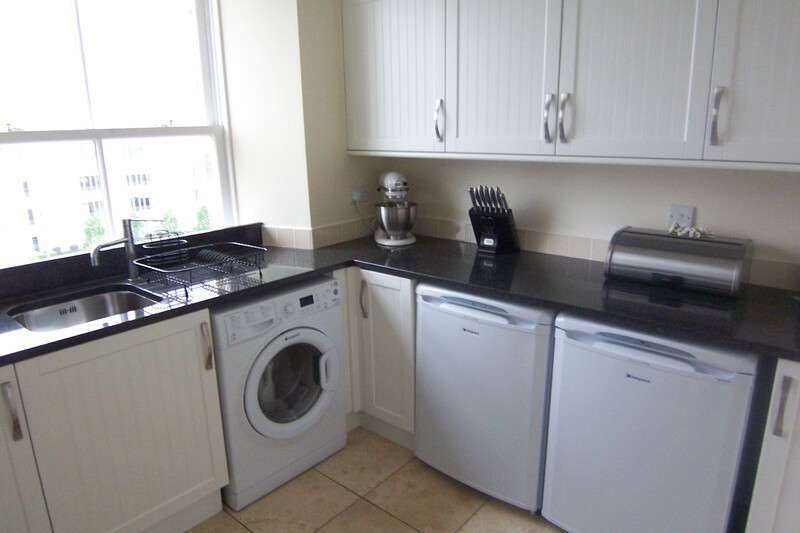 This is a great opportunity to acquire a well proportioned Three Bedroomed Double Upper Apartment which forms part of a B listed terrace of period granite properties in the much sought after west end of the city. Whilst retaining many fine traditional features the apartment has been tastefully upgraded to provide a highly desirable property benefitting from modern day comforts but retaining a great deal of character and charm. 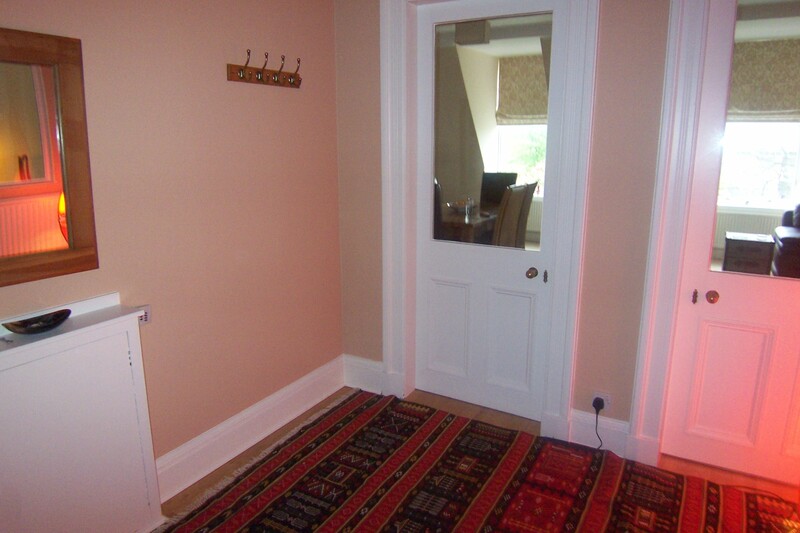 The property benefits from full gas fired central heating and windows that have been re-conditioned or replaced. Access is gained from street level by an entrance shared with only the first floor apartment and with well maintained communal areas. There is a spacious reception hallway giving access to the lounge/dining room, master bedroom, fitted kitchen and bathroom with shower. 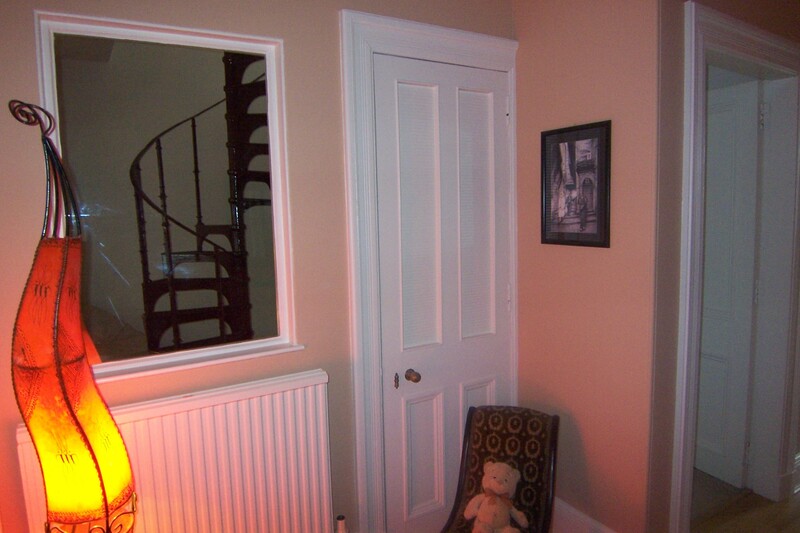 Off the lounge an archway gives access to a recessed area from where a superb wrought iron staircase leads to the upper floor where there are two further bedrooms and a boxroom as well as an extensive upper landing part of which is presently used as an office area. 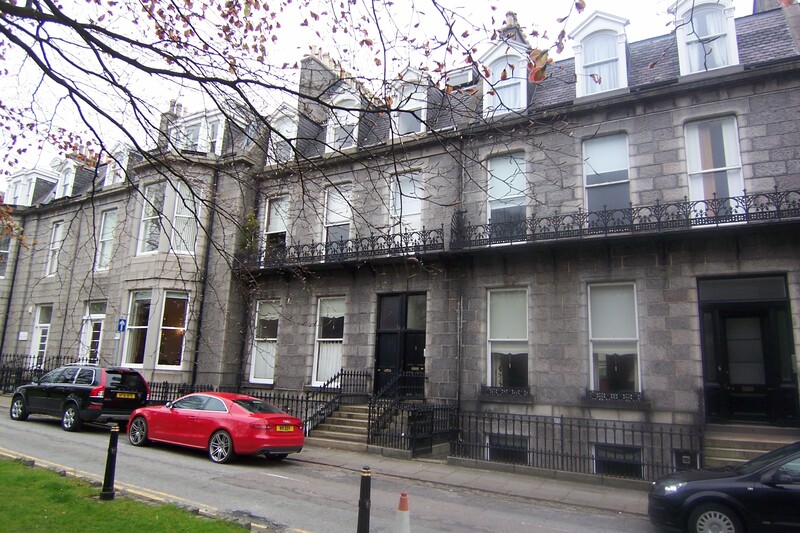 Parking permits are available from Aberdeen City Council for parking at the front of the property and nearby and, additionally, one of the garages at the rear, accessed from Queens Lane North, is included in the sale. 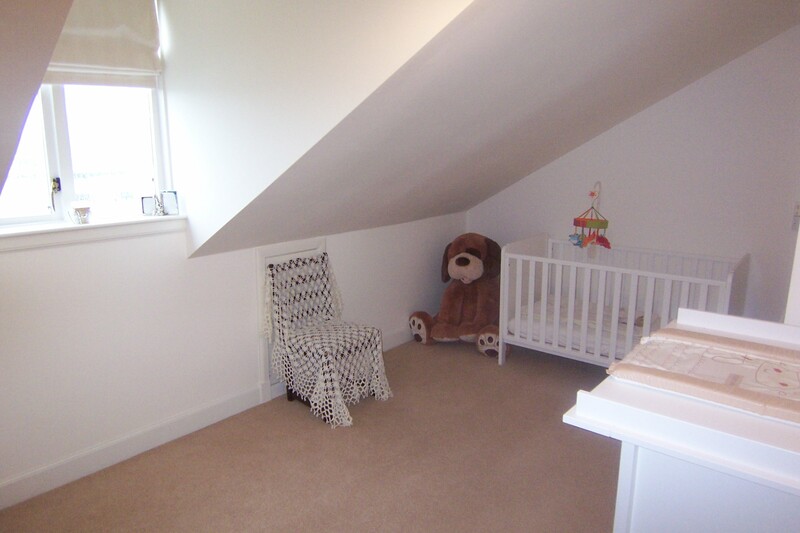 There are good quality fitted carpets and floor coverings throughout which are included in the sale as are all blinds. 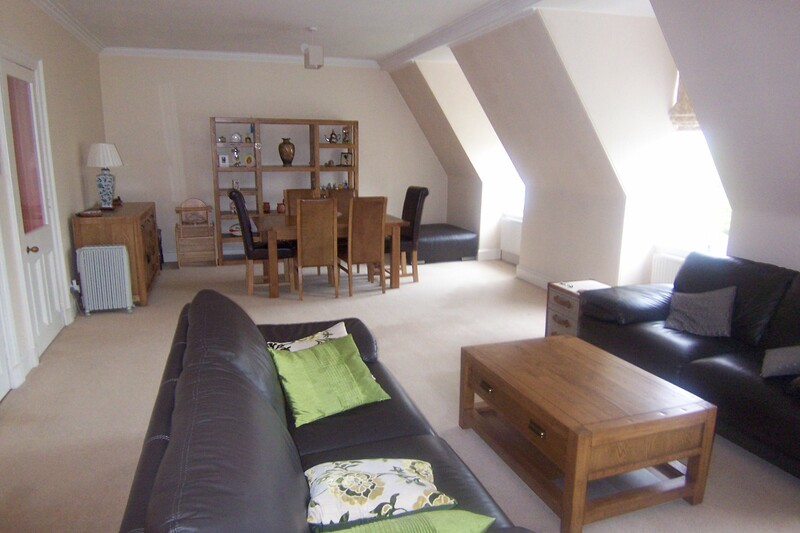 Queens Gardens runs parallel to Queens Road and has easy access to the city centre. There are many amenities nearby including public transport, local shops, restaurants and hotels. Anderson Drive is close by which offers easy access to most parts of the city. Reception Hallway Bright spacious reception hallway giving access to the lower level accommodation. Two part glazed doors lead to the lounge. Oak laminate flooring. Built in shelved storage cupboard. Smoke detector. Cupboard housing electric heaters and wall mounted security entry handset. Coat hooks. Lounge/ Dining Room (8.36m x 3.37m approx) A superb living area running the full width of the property and overlooking Queens gardens. Three sash and case windows all fitted with draft proofing system. Television and phone points. 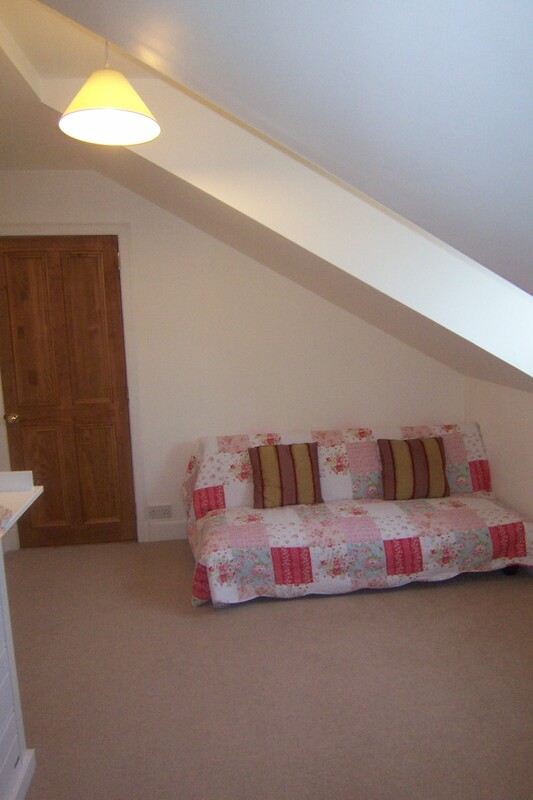 Ample room for both dining and lounge furniture. 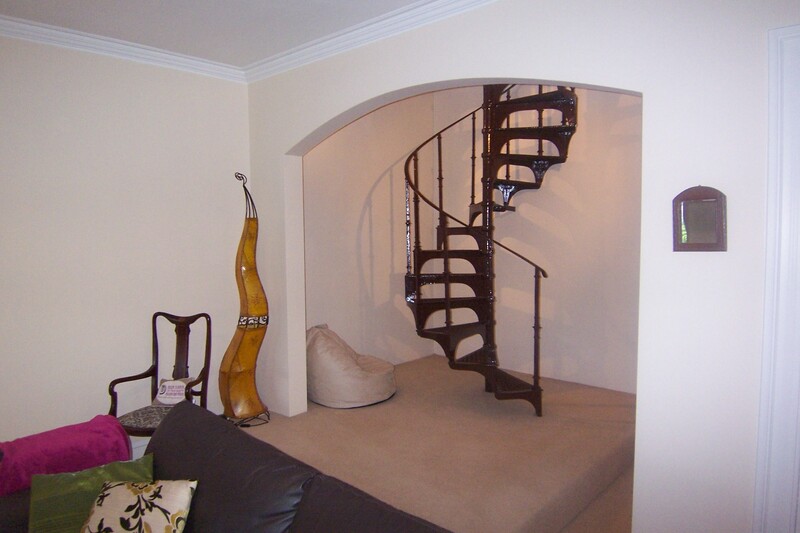 Recessed Area (3.11m x 2.27m approx) Substantial most attractive wrought iron spiral staircase leading to the upper level accommodation. Separate door to reception hallway. 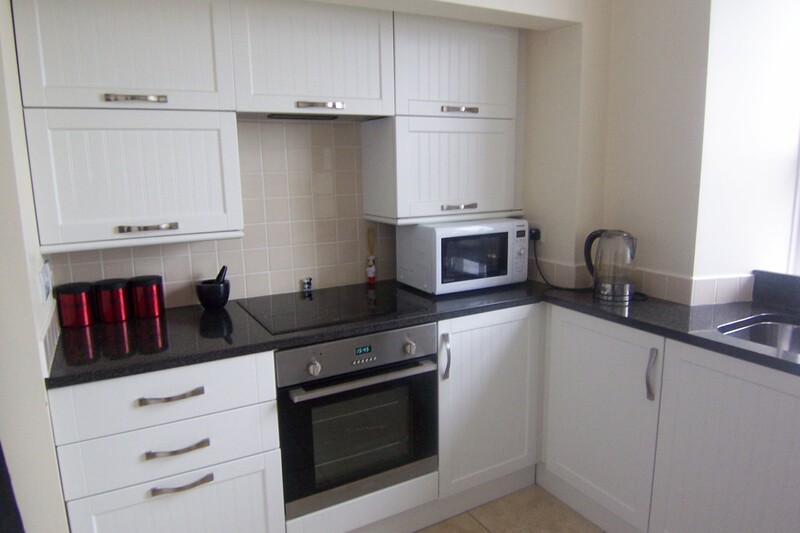 Kitchen (3.08m x 2.29m approx) Extremely well fitted with a good range of both matching base and wall units with complementary granite work surfaces and splashback tiling. Four ring ceramic hob with integrated stainless steel oven and extractor canopy. Underfloor heating and “Travertine” stone floor. Window to the rear offering fine views over the city. 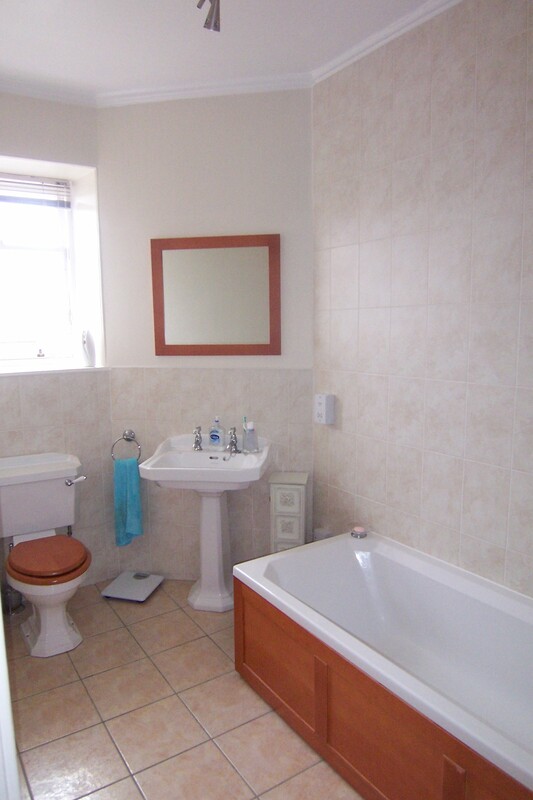 Bathroom White suite comprising, WC, WHB and bath with extensive tiling. Mains shower at bath with glass screen. Tiled flooring. Built in shelved storage cupboard. 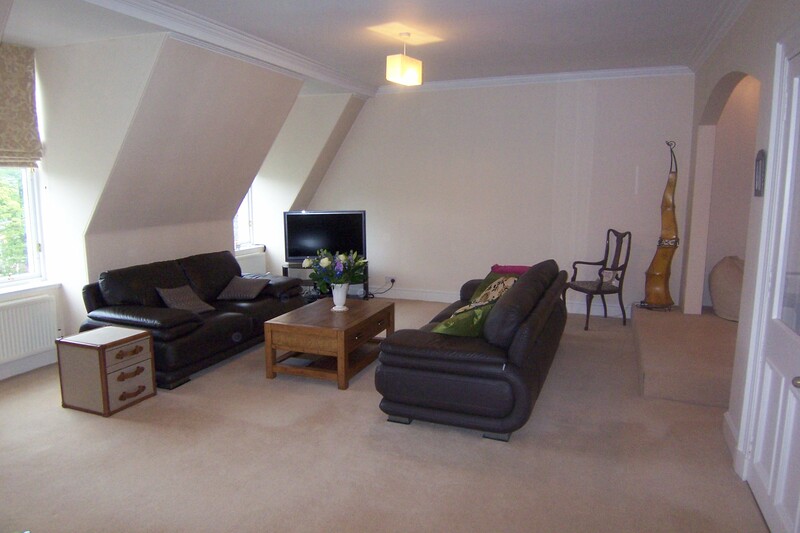 Master bedroom (4.88m x 3.22m approx) A well proportioned double bedroom to the rear with large window offering views over the city. Storage cupboard housing gas meter. 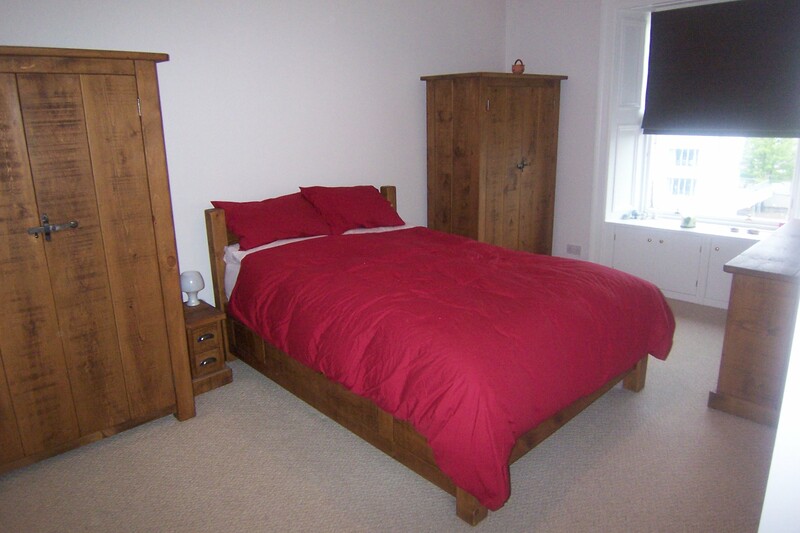 Ample space for freestanding bedroom furniture. TV and phone points. 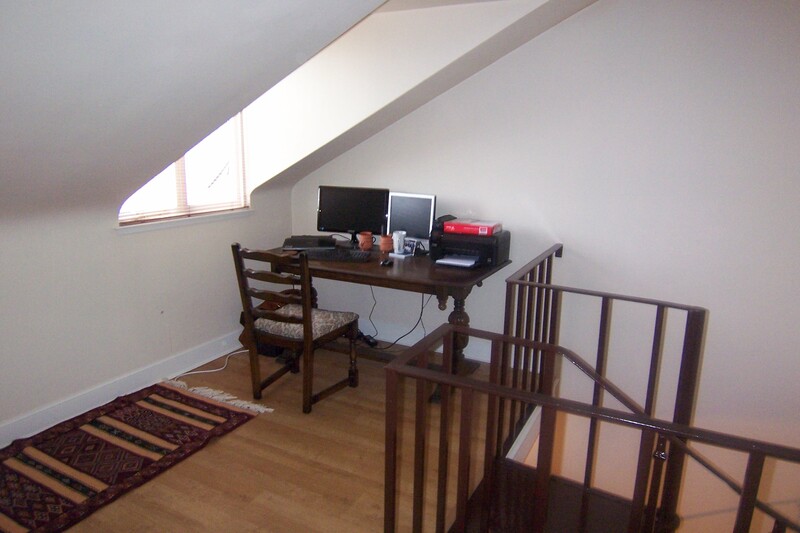 Upper Landing Large window to the front through which light floods in and which is ideal for its present use as office space but equally suitable as an informal sitting area. 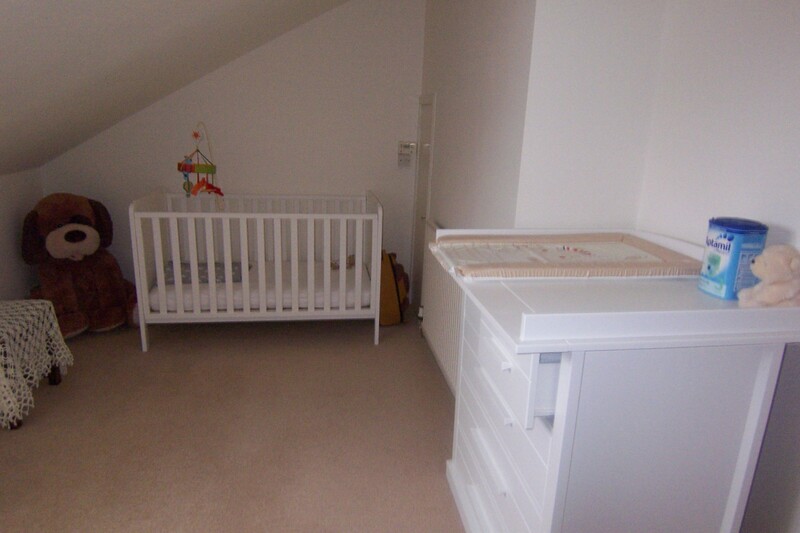 Boxroom ( 3.24m x 2.73m approx) A very useful room presently used for storage but could also be used a as a playroom or study. Central heating boiler. Skylight window. Bedroom 2 (4.93m x 3.15m approx) Another good sized double bedroom with two windows to the front again offering views over the city. 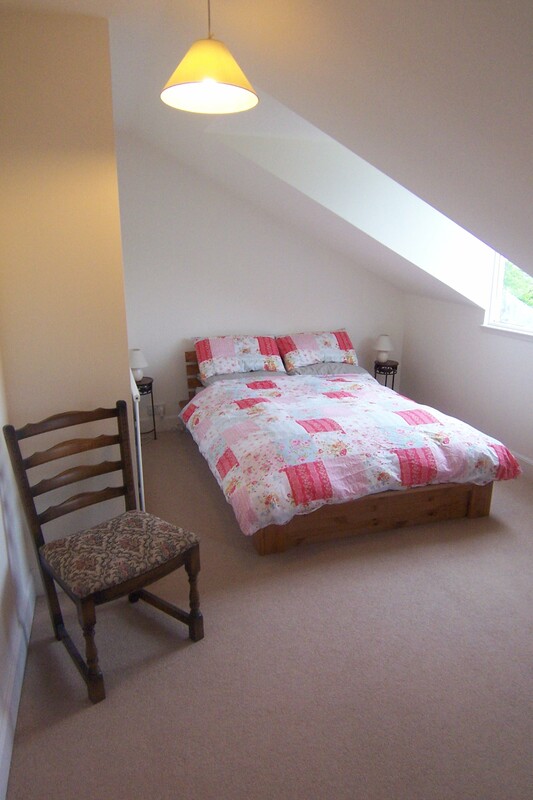 Bedroom 3 (4.94m x 3.10m approx) A third double bedroom with double glazed window to the rear. Access to eaves storage. Outside There is a Single Garage with access from Queens Lane North and exclusive access to a store room at basement level. Directions Travel up Albyn Place to the Queens Road roundabout and take the third exit off into QueensGardens.